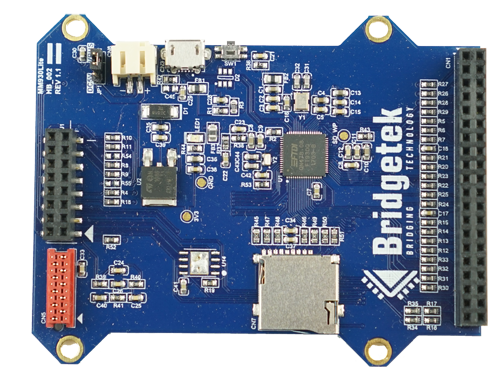 Bridgetek are delighted to be able to announce the full availability of BT815 / BT816 devices now. 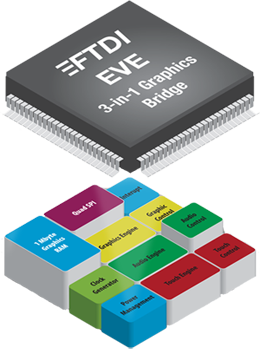 These devices form the 3rd evolution of the ground breaking EVE graphic controller series. 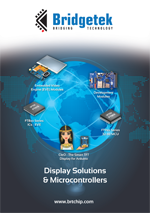 As well as delivering graphic control for display resolutions upto 800 x 600 pixels with true 24 bit colour depth and integrated touch (BT815 – capacitive / BT816 – resistive) there are a number of enhancements from the first two generations. 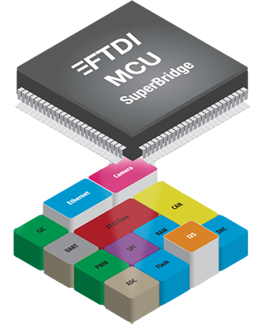 A dedicated flash host port enables dedicated off chip memory to be used for asset storage freeing up valuable system SPI bandwidth. ASTC compression support further enhances memory usage with this very compact algorithm, whilst the addition of Unicode support makes using mixed fonts simpler. 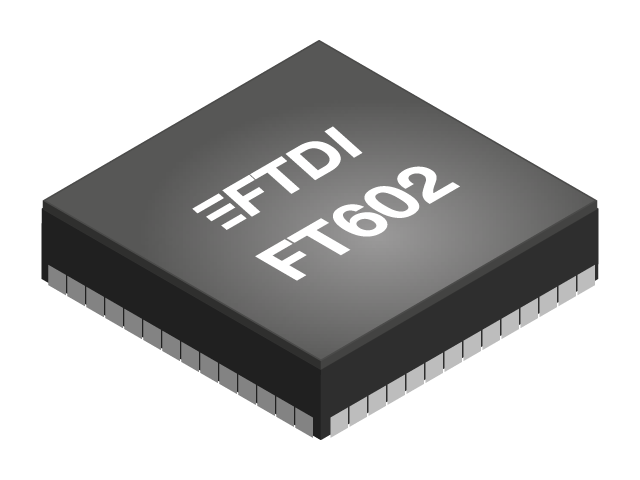 Audio has also been enhanced, changing from an analogue output to a digital one. 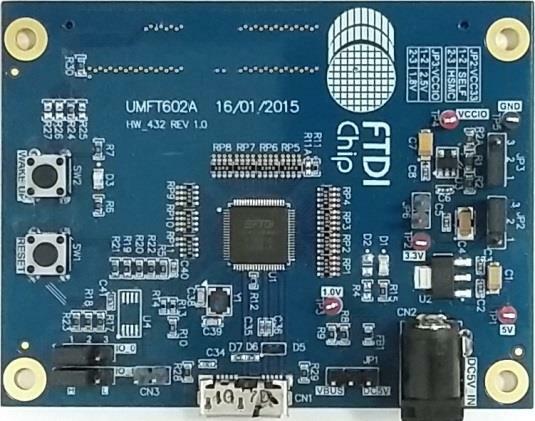 Supporting the IC release are 2 new VM816C credit card sized modules. 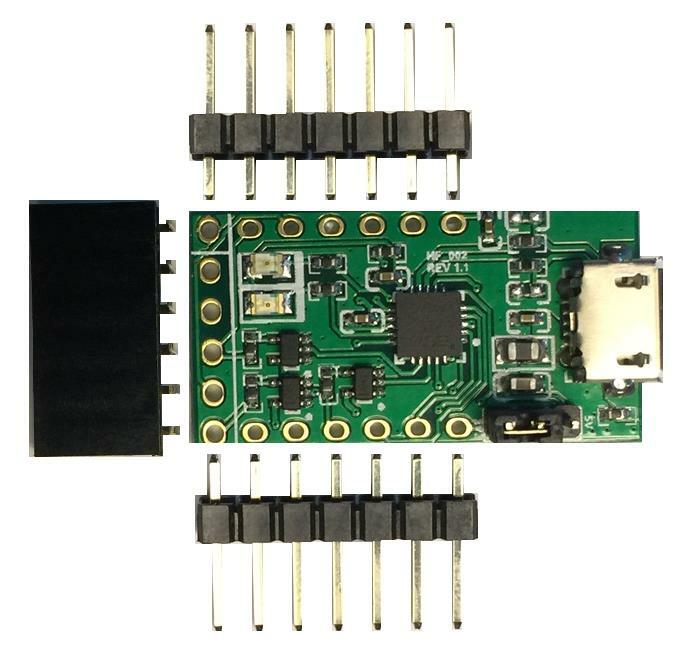 These modules may be supplied with an SPI interface (VM816C50) for direct interfacing with your embedded system or USB (VM816CU50) which enables rapid connection with a PC and the free support tools offered by Bridgetek. 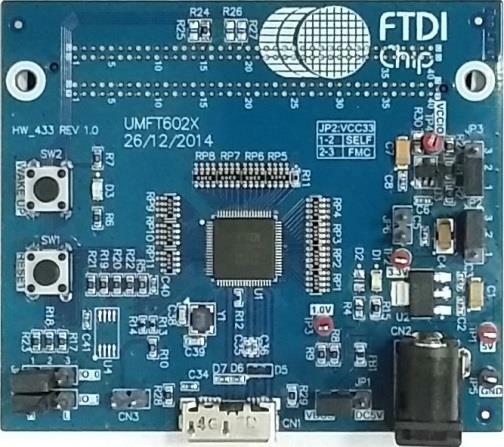 Each module supports a 5” display which may be optionally supplied with the module. 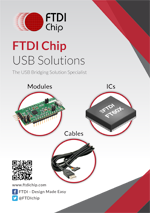 Welcome to FTDI Chip - offering a wide range of products including modules, cables, and integrated circuits for USB connectivity, super bridging MCUs and display systems. 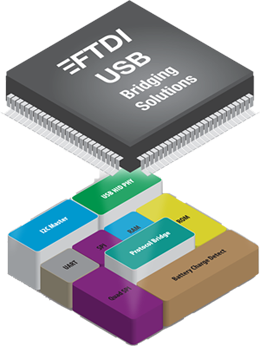 FTDI Chip strives to bridge multiple technologies and supports this strategy with feature-rich products that include technical documentation, application/software examples, and royalty free drivers. 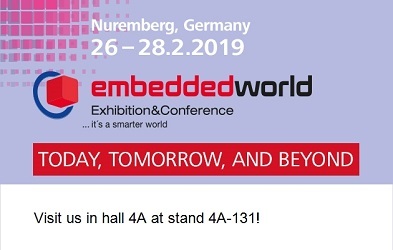 With regional technical support throughout the world, our goal is to provide total solutions that reduce development risk, enhance system capabilities, and enable faster time to market. To view our archived news items, click here.